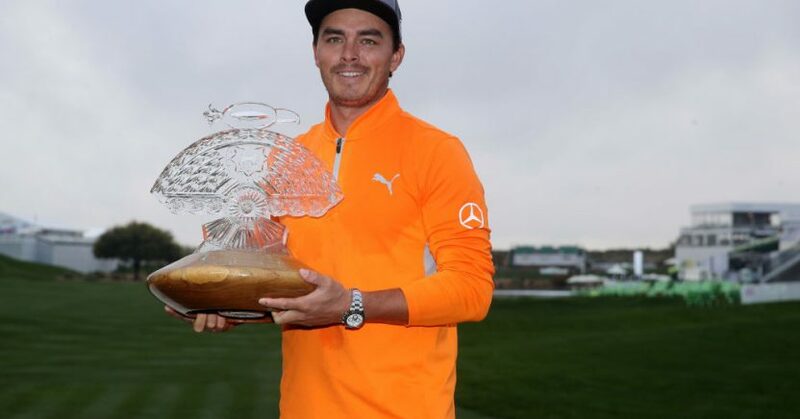 Rickie Fowler endured a roller-coaster Sunday afternoon at the Waste Management Phoenix Open before stumbling over the line to pip Branden Grace to the title after a final-round of high drama at a rain-soaked TPC Scottsdale in Arizona. But Fowler regrouped to birdie the 15th and 17th, while Grace drove into water at the penultimate hole, and the popular American scrambled a par at the last to complete a three-over-par 74, which proved enough for a two-shot win and his fifth PGA Tour title. Justin Thomas won the race for third as a birdie-birdie finish added up to a 72 and a final score of 14 under, while Matt Kuchar bogeyed two of the last three holes to leave him in a share of fourth with Bubba Watson and Chez Reavie.